We’d love your help. 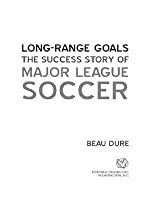 Let us know what’s wrong with this preview of Long-Range Goals by Beau Dure. To ask other readers questions about Long-Range Goals, please sign up. This was clearly a cut and paste job by the author. It read like the author was the ghost writer for Don Garber. I was unimpressed for this reason mainly, this is a great story that was squandered. It is highly superfical and if you'll pardon the expression quite lazy. I would say the authors description and analysis of the players early lawsuit and the subsequent road to unionization is the best example of this. It is written from a management perspective which is the give away, you can tell he This was clearly a cut and paste job by the author. It read like the author was the ghost writer for Don Garber. I was unimpressed for this reason mainly, this is a great story that was squandered. It is highly superfical and if you'll pardon the expression quite lazy. I would say the authors description and analysis of the players early lawsuit and the subsequent road to unionization is the best example of this. It is written from a management perspective which is the give away, you can tell he is writing what he was told to write.. Had the author fleshed out these and other topics it might have been a stirring narrative. A lot of really interesting stuff in here. But as someone that's followed the league pretty closely from the beginning, things like the summaries of each season caused it to drag a bit for me. Nevertheless, I appreciated it and it's a little sad that (as far as I know) this is still the only 'history of MLS' book out there. And those that haven't been following it all as the league grew (like I have) would probably enjoy it a lot more than I did. Maybe, now that the league is solidly established w A lot of really interesting stuff in here. But as someone that's followed the league pretty closely from the beginning, things like the summaries of each season caused it to drag a bit for me. Solid history of the first dozen or so years of MLS. The book is evenly split between season recaps (including descriptions of game highlights) and info on the business side of MLS and how it has progressed. If that sounds appealing to you, you'll enjoy the book. It doesn't go into much depth about contraction; I'd've liked to get more on that story. I most enjoyed the details about the competition between the parties trying to get D1 certification in the US after the World Cup. Interesting stuff. A good time-capsule of MLS' creation and first 16 years. Though some of it was less than gripping – all those seasons' results and performances recapped can only be so exciting – there were good stories and a lot more history that I didn't know than I expected. This books provides an excellent summary of the league's earliest years. 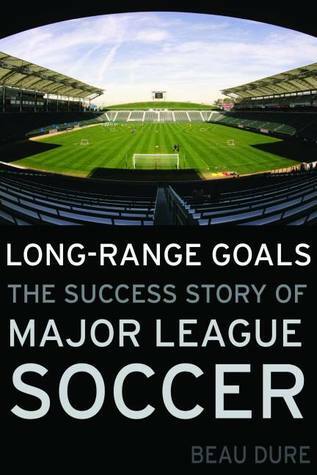 Fans new to the league should read it to get a sense of the challenges faced launching MLS. Ultimate account of the history of the league. Exceeded my expectations. A great look at the early history of Major League Soccer. Hope to see more books like this in the future. Great read on the history of the MLS. I'd recommend it for those who've been MLS fans and those who are just coming into being fans for the first time of a MLS club. Fitting neither the mold of a traditional sports journalist nor that of a modern-day snark merchant, I spent a couple of decades with newspapers, the second one with USA TODAY. While there, I covered a lot of soccer, went to four Olympic Games, became the paper's first MMA writer, and wrote the book Long-Range Goals: The Success Story of Major League Soccer.